except for a part of the reel, the spool of bait reel has a built-in ball bearings. However, since the ball bearing itself is a consumable item, you want to exchange your own! Also Irasshaimasu such. However, in order to replace the ball bearings, you need a dedicated tool for attaching and detaching the "pin" which is press-fitted into the spool. Moreover, failure = become spool damage and slightly higher risk of work, it can be thought of as a little hard to areas out of hand. However, it offers a tool that makes it possible is peace of mind in the SLP WORKS · reliable work. 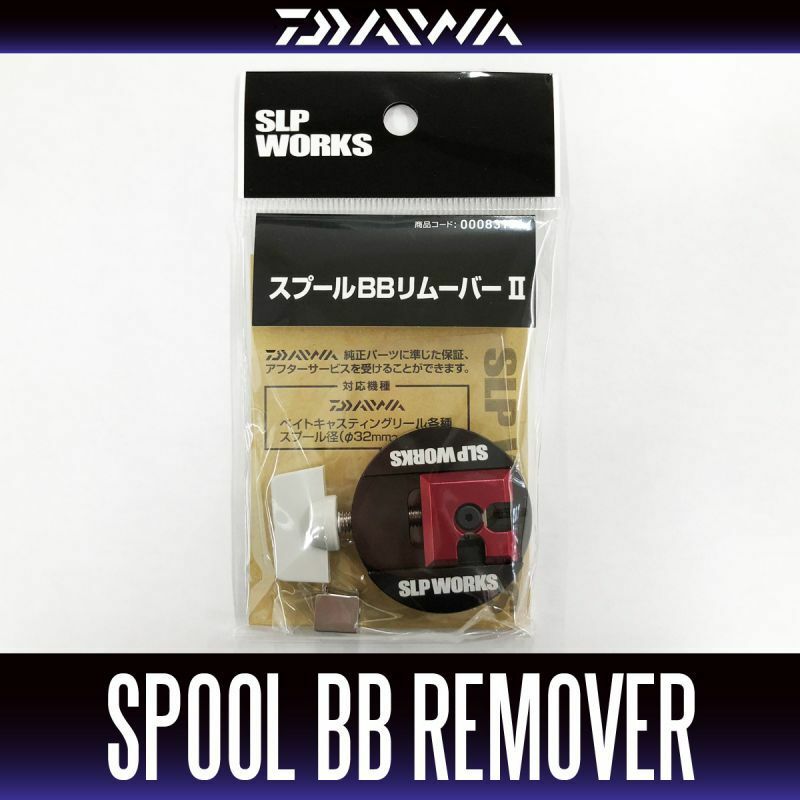 It is, this "spool BB Remover 2". Actually's a special tool itself that is used regularly in the after-sales service department. So to speak "for business". A special tool with a performance that specializes in work efficiency and reliability, is the necessities of the spool BB tune.